What is this modification for? 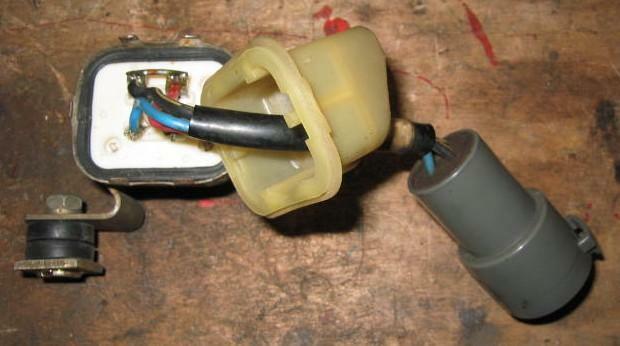 The voltage applied to the fuel pump is reduced by a resistor, (click for picture), so the pump supplies less fuel. At some point the ECU determines that the fuel delivery is not adequate and flicks over a relay which then supplies battery voltage to the pump, so more fuel can be delivered. If modifications are made then fuelling becomes more and more important. The voltage supplied to the pump through the dropping resistor is ~9V, and this then rises once the relay clicks over to ~14V. Supplying little or reduced fuel may not be adequate for your modified engine and the time that the relay takes in flicking over and then starting to speed up the fuel pump may be too long. Modifying the relay so that the pump runs constantly at the battery voltage helps the fuelling. As you will be modifying the relay to supply the pump with constant battery voltage the fuel pump will be running at top speed constantly, thus shortening its life. Is this a problem? No. 18 months/20,000 miles and the pump is still running fine on the car. I have yet to hear of anyone having a problem with their fuel pump after completing this mod. How do I sort it? The fuel pump relay is behind the intake manifold mounted on the firewall - it's labelled clearly on the front of the unit. 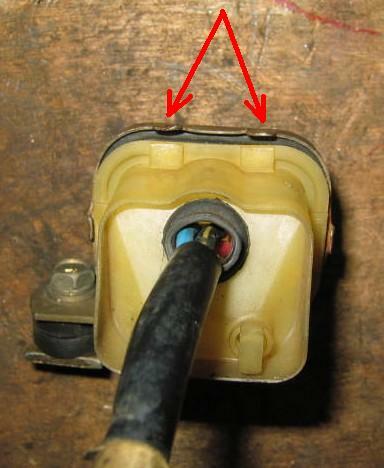 Undo the relay mounting bolt and remove the relay from the wiring loom. 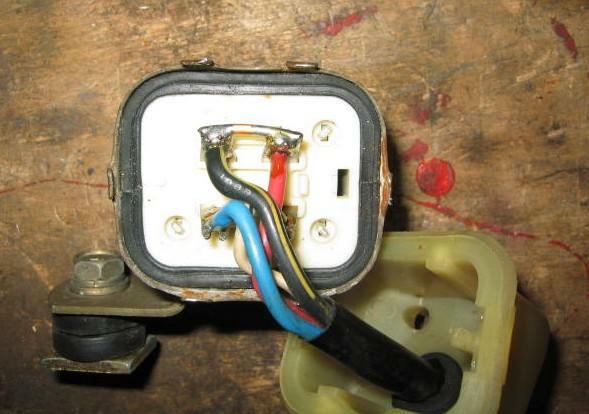 Turn the relay upside down and prise the metal clasps away from the side of the relay. Pull off the plastic cover, this seems like it won't budge, but that's only because it is stuck to the rubber gasket - give it a firm tug! Now you can see the wires coming from the bottom of the relay. Connect the two wires together - black/yellow to the red wire. Note - use a thick piece of wire and solder this securely in place. Look at the existing wiring and size it appropriately. If in doubt about the size of the wire, go big! Take the car for a test drive, making sure to get the turbo up to pressure at least once. The dropping resistor for the fuel pump can now be removed to free up a little room in the engine bay. This is also a handy place to mount the Water Injection relay! 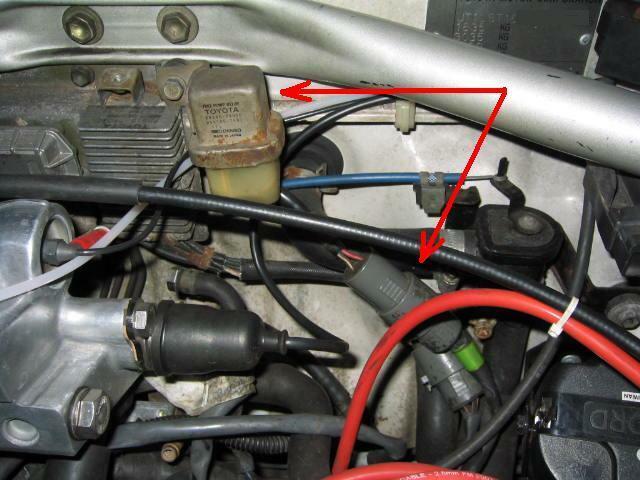 The resistor is located on the right hand side of the engine bay next to the diagnostic connector.